Our four standard double rooms are situated on the first and second floors with some having sloping ceilings. All rooms have en-suite showers, a hairdryer, tea and coffee making facilities and flat screen televisions. Breakfast is included. 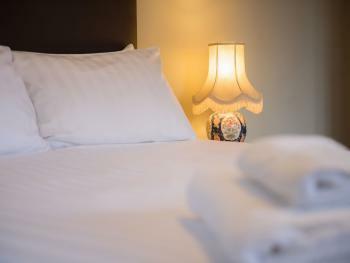 Room three is situated on the first floor and is equipped with a Kingsize bed & ensuite shower. This room has a flat screen television, hair dryer and coffee/ tea making facilities. Double Ensuite is equipped with a double bed and an ensuite shower. This room has a flat screen television, hair dryer and coffee/ tea making facilities. Twin Ensuite is situated on the second floor, equipped with twin beds and ensuite shower. This room has a flat screen television, hair dryer and coffee/ tea making facilities. 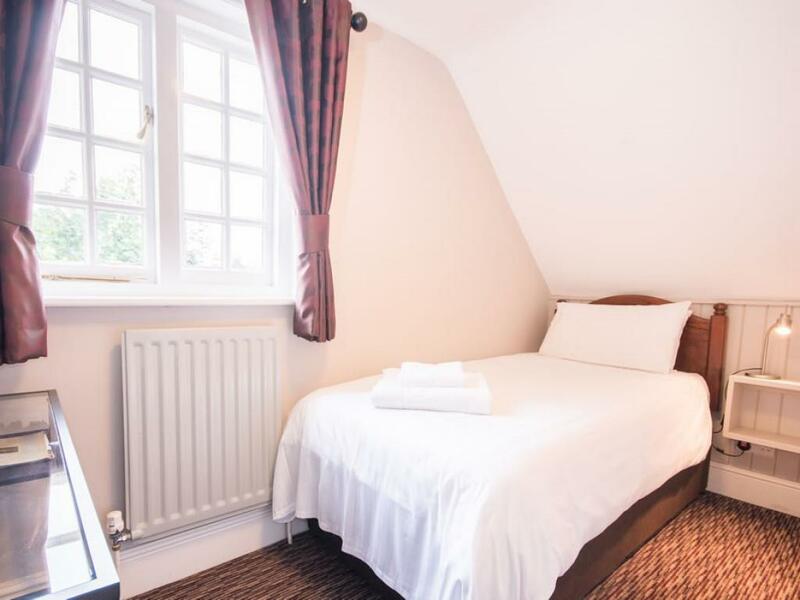 Our cosy single room is situated on the second floor with sloping ceilings. 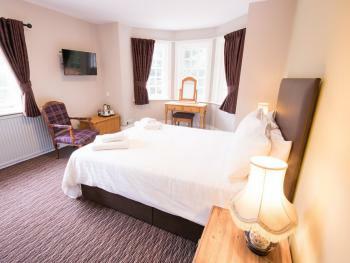 With en-suite shower, hairdryer, tea and coffee making facilities and a flat screen television. Breakfast is included. The hotel is a short drive from such historic places as Rufus Stone, Beaulieu Abbey (and motor museum) and Bucklers Hard. 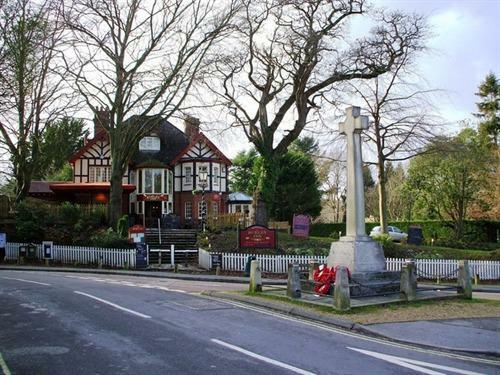 Not only was Burley on the main smuggling route from the port to the south, but also has a history connection with witches (as the local shops demonstrate) indeed it was as recent as 1950 that Sybil Leek, a self-confessed white witch lived in the village. 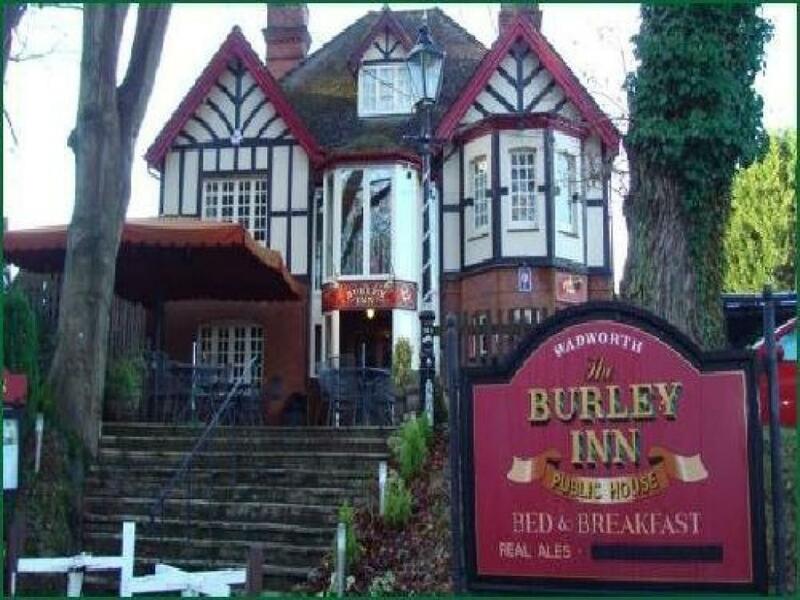 The Burley Inn itself dates from the Edwardian period, where it used to be the village surgeon's residence. Occupying pride of place on the lee of the hill, its quaint interior, log fires and bespoke furnishings provide a desirable venue in which to drink, dine and stay. We are open for morning coffee, cakes and cream teas from 9.00am daily. Take advantage of our Free House which stocks a good range of cask-conditioned ales including beers from the local Flack Manor Brewery, an interesting selection of wines, including locally produced Lyme Bay fruit wines, a variety of soft drinks, lagers, ciders and hot beverages. In the warmer months, be sure to take advantage of our attractive terraced area, which overlooks the centre of the village. 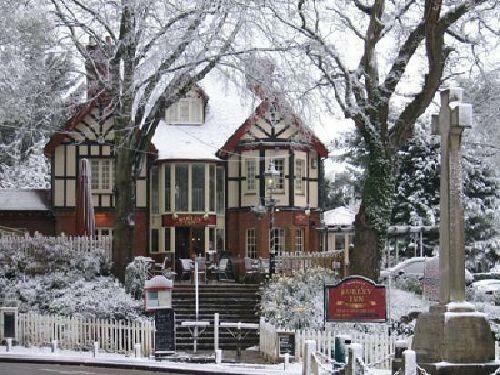 Meanwhile, during the winter, come in for a warm by our roaring log fires. Burley is an ideal spot to meet up with friends for a day out whether you live in Salisbury, Bournemouth or Southampton. We are also within a half hour's drive of both Bournemouth Airport and Southampton Airport. In our bar and dining room, food is served all day every day from noon until 9.30pm, with a menu ranging from light snacks to 3 course meals - anything from light platters, hot snacks and ploughmans to freshly baked pies, grills, vegetarian dishes and a choice of smaller appetite meals.